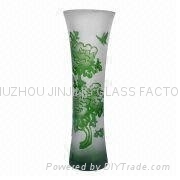 This product is manmade and high quality vase. OEM is much appreciated . Regarding the sample air freight, the customer needs pay it.